Home » Do You Make These 6 Investing Mistakes? Everyone makes mistakes. But if you learn from those mistakes, it never a bad thing. However, it is even better if you can learn from others’ mistakes and avoid making them in the first place. Here are six common investing mistakes that you could be making right now! Read up, and try to avoid them going forward! Yes, this one sounds obvious, but too many people fall for it. And the reason is that most of the news is about winners, and people like winners. And it is only at this point that people jump in and invest. But the problem is that the price is already high at this point, and it doesn’t have much higher to go. The original investors are selling, and the ones that were late to the party are left to sell low. Don’t buy high, or buy in on good news. Instead, either focus on ignored value companies or stick to index funds. This is where you think you know what you’re doing, but you don’t. Even I’ve fallen for this trap. I thought I knew what I was doing when it came to trading options, and I lost my shirt (and $2,000). The telltale signs of over confidence are too much trading and failing to diversify. If you find yourself chasing stocks, there could be a problem. Good investors buy and hold, and aren’t trading very often. Don’t make the trading mistake. KMP: These shares are limited partnership units, which will give you a K-1 at tax time since they are treated as a partnership. Most distribution from these shares are actually return of capital, and not dividends. KMR: These shares are LLC units, which actually own and operate KMP. The only asset this LLC owns is shares of KMP, and there are no cash dividends, only shares in proportional interest to the ownership they have in the stock. KMI: These shares are setup as a traditional corporation, and so investors should receive a traditional 1099-Div on distributions. 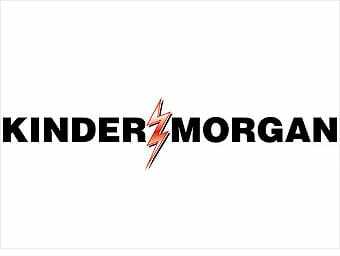 However, owners of this company have a complicated relationship with KMP, and also another company, NGPL. Where this is really important is what type of account you’re holding the shares in. If you are wanting to own shares of Kinder Morgan in an IRA, you need to hold shares of either KMR or KMI. It is very complicated to figure out taxes for KMP in a Roth because it’s a partnership. 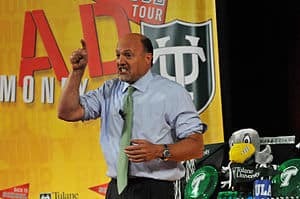 Are you an addict to shows like Mad Money or Fast Money? Do you subscribe to several different investing newsletters? 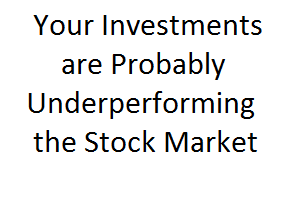 The bottom line is when it comes to predicting the future of the stock market, nobody is an expert. 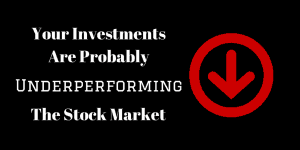 Research shows, over time, an diversified index fund outperforms most stock pickers. So, keep that in mind if you are listening to tonight’s Lightning Round. Nothing eats away more at investment returns than fees and taxes. Do you know if your account charges a minimum account fee or annual account maintenance fee? If you have a 401k, do you know what your management company is taking in fees? What about the tax implications of your trades? Are you trading in a tax deferred investment vehicle, or a standard taxable account? All of these questions matter because they can cut your returns by a lot – especially over time. For example, ABC News did a report earlier this year that highlighted how 401(k) fees may cut 30% from your retirement balance. That is insane! It’s your money, so make sure you know where it’s going. Finally, make sure you’re not just holding one or two investments, but are diversified across multiple assets and classes. Do you remember the Enron scandal? Hundreds of people lost all of their retirement because their 401ks were heavily invested in Enron stock. That is why you diversify – in case one asset tanks, your other assets can minimize the collateral damage. The easiest way to do this is through index funds, but you can also do it by owning your own basket of stocks across different sectors and classes, as well as owning bonds and other investments. I’m definitely guilty of #1, and at times #6. Probably #2 at times too. Yeah, if Cramer could pick stocks consistently, he wouldn’t be wasting his time on CNBC. Those who can, do; those who can’t, teach. Great line at the end! Very true! I’ll have to tuck these away in my brain for later. I don’t invest at the moment (except 401k), but I think the one I’m guilty of right now is “not understanding”. I have a bit of reading ot do before I really jump in the market in the future. That’s a great plan. My post Monday will actually highlight a great resource for you. Check it out. Fees and taxes! THose are killers! PAY ATTENTION, read the small print! Yes, it is important to pay attention to the fine print. The Consumer Financial Protection Bureau is making some changes to make the fine print easier to understand! I don’t think I’m do too bad on any of these, maybe that means I’m overconfident. 🙂 I do need to diversify more, but I don’t have enough money to diversify as much as I’d like right now. That’s why they make index funds – you don’t need a lot of money to diversify! I totally agree with you. Buying high and selling low is the biggest investing mistake an investor will make! It is never advised. Obviously, you will be losing money from this decision. I admit I was guilty of Mistake #5. I thought I will be getting some money but after all the fees and taxes, the amount left turned out to be the same amount as my starting investment. Lesson learned the hard way. You missed a big one: fear! Many of us are willing to scrimp and save, but are terrified of investing due to fear of the unknown. #1 is probably the most common. People try to time the market which is impossible! Just buy and let it ride! I have made a few of these mistakes. Number three-guilty.